If you want a happy place to work and grow, join our team. 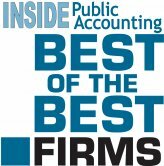 Whether you’re an experienced professional, a recent graduate looking for your first job or a student in need of an internship to break into the accounting world, there is a place for you here. With a variety of career paths to choose from, resources to help you along in every stage of your career and a culture that values teamwork, work/life balance and success, we think you’ll like it here. You’re what counts. Our most valuable assets are our team members. People (that’s you!) are our number one priority. You’re not just here to churn out tax returns or audit reports as quickly as possible. Your success is important. When you like where you work and enjoy your job, you provide exceptional service. That’s a win for you, the firm and your clients. A lot of people think culture just happens. But it really takes the effort of management to create an environment where employees feel supported. Our team members love working at Henry+Horne and we work to make sure they stay engaged and happy. Teams thrive when they're happy, engaged, and valued. Thanks to our team, we’re honored to have received several awards. Time and time again our team members have said that Henry+Horne is simply the best place to work. Just out of college? Need an internship? 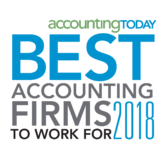 If you want to work for an Arizona CPA firm that provides training to help you grow and move ahead in your career, we’re always looking for the best and the brightest. When you’re well-taken care of, you’re engaged and successful at work. That’s why offering traditional benefits, non-traditional benefits and career training is a major priority at Henry+Horne. Working at Henry+Horne gives me the work life balance you wouldn’t expect at a public accounting firm, while still maintaining a healthy, professional career. Our firm truly invests in their employees with the training, social atmosphere and team building they promote at every level. You know your value because the firm leaders take time to listen and maintain close working relationships with us. They understand the happier you are the more productive and accomplished you become – this is why our turnover is much lower than industry norms.